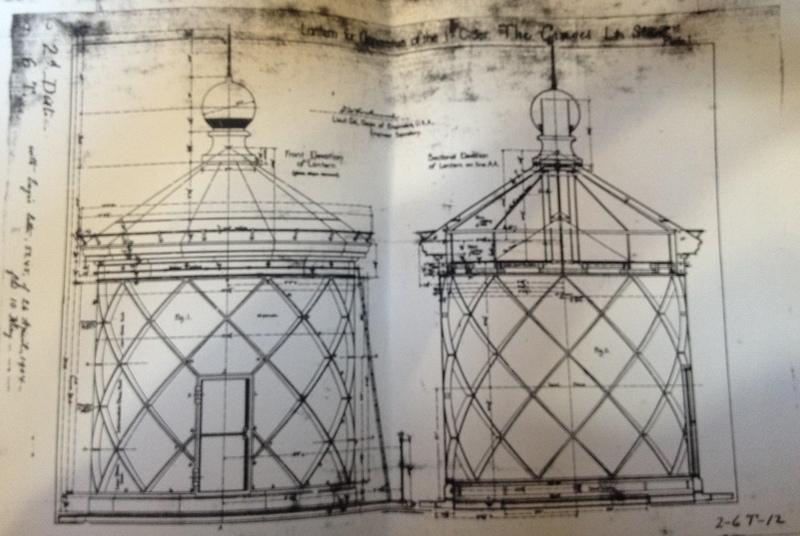 A copy of the original 1902 architectural drawings of the bronze lamp room atop the granite tower. The dome at the top features a vent that keeps out rain and sea spray, and a lightning rod. The criss-cross patterns are the bronze window frames to house the heavy curved panes.